Standing in a garden in Ōtsuchi, a small town in the Iwate prefecture, on the east coast of Japan, there is a nonworking telephone booth that has nevertheless been used by more than ten thousand people since the spring of 2011, when a 9.0 earthquake and massive tsunami killed fifteen thousand people and dislocated hundreds of thousands more. Built by Itaru Sasaki, a sixty-nine-year-old resident of the area, so that people could communicate with loved ones who were killed or missing, the wooden-framed booth—which has plate glass windows and a door that closes—is named “Kaze no Denwa Box,” or Phone Booth of the Winds. 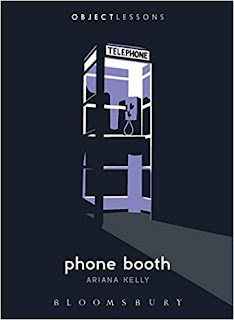 Although he installed a rotary dial telephone within the booth, Sasaki never connected the line; instead, there is a small notepad on the shelf beneath the telephone where people can leave messages and trust that the wind will carry the contents to their intended recipients.